Why did God say "Jacob I have loved?" 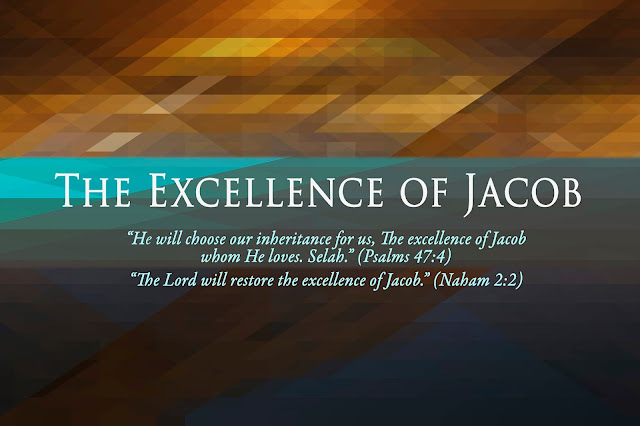 Why did two prophets say that God was going to restore the "excellence of Jacob?" (Nah. 2:2, Psa. 47:4). In three visitations, Jacob recognized the presence of God. 3) When he was on his way to meet his brother, he wrestled with the Lord all night. God said, "Let me go." Jacob said, "I will let you go until you bless me!" He stayed engaged with God even though his hip went out of joint and he was in great pain, he would not let go of the Lord!